In keeping up with technology, our Police Department has a computer aided dispatching (CAD) system in our network of resources. Information entered into this system is then passed on to our First Responders (Police, Fire and EMS) if they be called to your residence or business. This gives them the most up-to-date, vital information they will need. If you are a new resident you can provide medical condition information about yourself, or a member of your household, that you feel our First Responders should have. Examples would include those residents with Alzheimer’s, those with autism or life-support systems information such as those using oxygen or insulin dependent residents. This system enables business owners to provide information about the business, emergency contacts and/or key-holders. Other information provided may include a list of “hazardous materials” that are kept on the site. Below is a form that both residents, with medical information to share, and new businesses can use to provide such information to our police department. 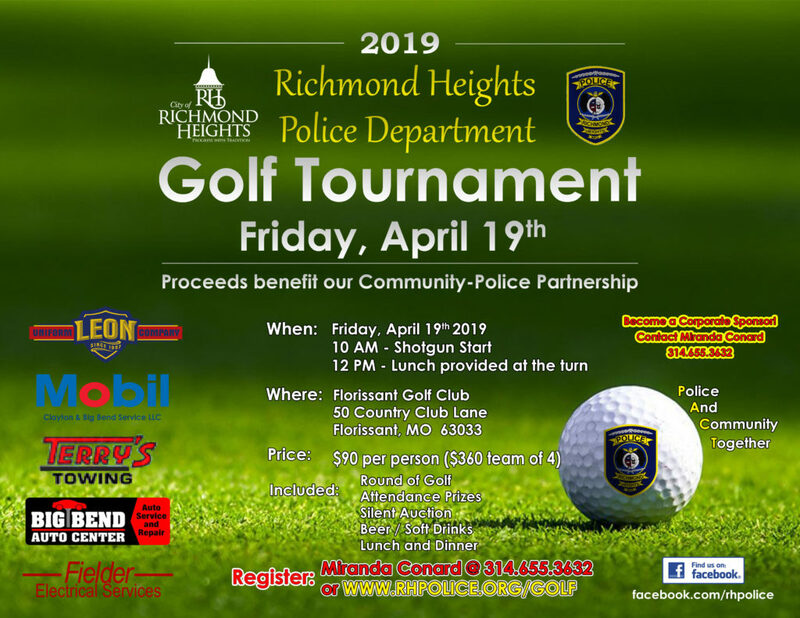 The Richmond Heights Police and Fire Departments participate in joint communications with seven other cities (Clayton, Maplewood, Webster Groves, Shrewsbury, Brentwood, Rock Hill and Olivette). The East Central Dispatch Center is housed in the Public Safety Building along with the Richmond Heights Police and Fire Departments. The joint communications initiative was spearheaded by the Richmond Heights Police Department to better serve the needs of residents when they request assistance for Police, Fire and Emergency Medical Services (EMS). As you continue to settle into your new home, we hope that you will quickly come to agree that Richmond Heights is a great place to call home. If you are a new resident with medical information you wish first responders to be aware of or are a new business in the City of Richmond Heights, please take a few minutes to fill out the information below. This information will be entered into East Central Dispatch Center’s (ECDC) Computer Aided Dispatch system (CAD). If the police or fire department are needed at your residence or business, the dispatcher will have quick access to this information. The area below is to be used for Emergency Medical Information, Hazardous Material Information, special needs information and or instructions that you want the Police or Fire Departments to be aware of.